One of the benefits of being a member of the PatchWork Collective coworking space is your chance to reach our network of businesses and professional contacts. One way we do that is through feature “Meet our Members” blog posts. In today’s post, we’ll meet the CEO of PatchWork, Lisa Schmidt, who is an attorney at Schmidt & Long and a writer for Legal Linguist. Lisa Schmidt is a writer and lawyer. She is also CEO of the PatchWork Collective. She has been practicing law since 2010, and running her own firm since 2011. Specifically, Lisa represents clients in divorce, adoption, and other family law matters as a Partner at Schmidt & Long, PLLC. Her partner Ben Long, handles estate planning, business law, and real estate matters. 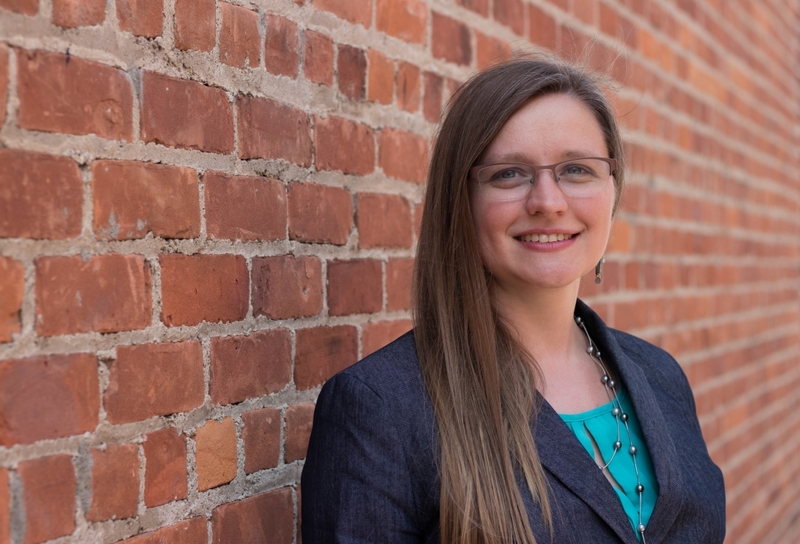 Lisa balances the high-stress world of family litigation by writing blogs and web content for lawyers & small businesses as the Legal Linguist. Since opening that line of services in 2013, Lisa has written SEO-focused content for dozens of websites nationwide. She has ongoing blogs covering everything from a sexual harassment and employment discrimination law firm to an active adult community management software company. Because she is a ghost-blogger, you may have read some of her content and never known it. Some of Metro Detroit’s biggest litigation firms have hired Lisa to be their online voice. You might think Lisa is all-work and no-play. But in addition to all her professional work, Lisa is a volunteer for the ACLU of Michigan and Renaissance Vineyard Church. She considers herself something of a renaissance woman herself, and spends her free time singing, playing several musical instruments, writing fiction, and drawing. Lisa also enjoys deep conversations, board games, and backcountry camping. As CEO, Lisa Schmidt is a constant presence at the PatchWork Collective. She is a daytime facility manager and hosts monthly creativity meetups where she invites other artistic community members to join her for an evening of accountability and scheduled play. Lisa also plans to host blogging seminars and coaching sessions at PatchWork in the months to come. The PatchWork Collective wants to help our members build up their businesses and connect them with key referral partners in the local community. If you want to work with Lisa and the other members of the PatchWork Collective, contact us today to schedule a tour. Next PostPlanning Your Company Holiday Party? Have It With Us!